Bayern Munich sporting director Hasan Salihamidzic says Chelsea winger Callum Hudson-Odoi is a player they "absolutely want to sign". Hudson-Odoi has started Chelsea's last two games but is reportedly keen to leave Stamford Bridge to further his burgeoning career. Bayern are believed to have met Chelsea's asking price of £35million and, with the 18-year-old unwilling to discuss a new contract, a move seems to be edging closer during the January transfer window. Salihamidzic told reporters on Bayern's winter training camp in Doha: "He's a very interesting player that we absolutely want to sign. "He has qualities that suit our game. He's a strong dribbler, fast, and carries a goal threat." Bayern are on the look-out for wingers with Arjen Robben confirming he will leave at the end of the season and Salihamidzic admitting on Wednesday "it's probably going to be Franck [Ribery's] last year". Hudson-Odoi would certainly fill one of those voids and, if he does move, would continue the trend of young English players thriving in the Bundesliga. Jadon Sancho and Reiss Nelson, former England Under-17 team-mates of Hudson-Odoi, have made a huge impression this season at Borussia Dortmund and Hoffenheim respectively. 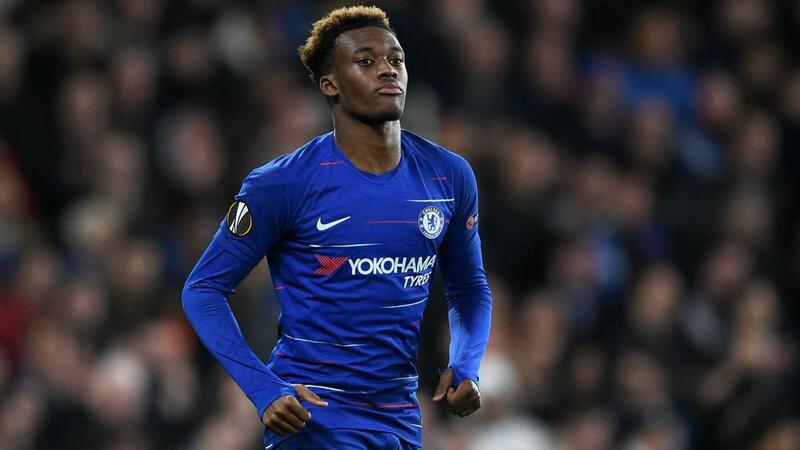 Speaking after Tuesday's first-leg defeat to Tottenham in the EFL Cup semi-finals, Chelsea boss Maurizio Sarri insisted Hudson-Odoi had not been distracted by the speculation. The Italian said: "Odoi in the last week has been very normal. I have seen him every day in training, he has been really very normal. "He is improving, in the last match he played very well and also today I think a very good match. "He played like a player of 25 or 26 years, I think – very good match of application, very good in the defensive phase, very, very good. "He was completely normal in this period. I don't know, maybe he doesn't read anything."